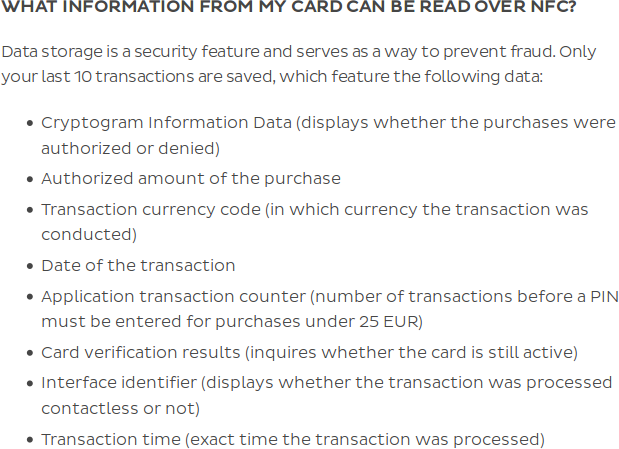 After causing quite a shitstorm a couple of days ago by blogging about the chattiness of their payment cards, Number26 has now release a document in their new support center. If they had communicated their card’s privacy settings (or their lack of)m from the beginning, no-one would have had a reason to be outraged. But better late than never. You can read the full details about the Number26 transaction log on the new support center of Number26. Does your bank also have such an exemplary description about your NFC enabled card? Leave a comment below.